Do you want tickets to the SEC Football Championship Game, but can’t afford them? How about a way to buy tickets to the SEC Championship Game at face value? Each season the Southeastern Conference gives a few lucky fans a chance to get tickets to the SEC Football Championship Game through a random drawing waiting list. There are a few lucky SEC football fans who are SEC Championship Game ticket holders and get to renew their tickets for the upcoming year’s game. And, every season there are a few unlucky ticket holders that do not renew their tickets. These SEC Football Championship Game tickets are then sold to randomly selected fans who joined the SEC Football Championship Game Waiting List the previous year. Joining the waiting list is simple and takes like two seconds of your time. The SEC Football Championship Game Waiting List for tickets is open to join from May 1st through October 1st for tickets to this year’s game. If the SEC selects your name in the drawing, you receive the opportunity to purchase tickets for the SEC Football Championship Game and on a continual basis for each year after that. 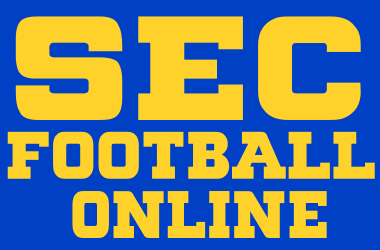 The SEC Ticket Office notifies the winners of the random drawing by mail or email during the month of September before the season starts to let you buy SEC Football Championship Game tickets. Applicants are randomly selected. The SEC Ticket Office will notify you by mail or email by October 31 if you have been selected to purchase renewable tickets. Those applicants who are not selected will not be contacted or notified. If your name is not picked in the random drawing for tickets to the SEC Football Championship Game this year, don’t fret, you can always sign up again next year. Entries are not carried over to next the season’s drawing. To get in on the drawing, go to the SEC Football Championship Game Tickets Waiting List or visit the SEC Ticket Office.